The term “cloth/fur moth” is properly used in connection with the webbing clothes moth, the case making clothes moth, and the tapestry or carpet moth. The first two species are more common, while tapestry moths occur only infrequently. These are all small moths, as adults have a wingspread of less than 1/2 inch. Their habits are different from most moths because they are rarely seen flying around lights at night. Rather, they prefer dark closets, attics or other areas and tend to live in dark corners, or in folds of fabric. They will fly occasionally, but normally only on the edges of a lighted area, so usually remain quite inconspicuous. Cloth/Fur moths have a complete metamorphosis. That means they have an egg, larvae, pupa and adult stage just like a butterfly. Adults are unable to feed and it is the larvae stage, which are small cream-coloured caterpillars with brown head capsules, that damage fabrics. In houses, they are most frequently pests of clothing, carpets, rugs, upholstery fabrics, piano felts, brush bristles, blankets, hair from pets, furs, lint from woollens, and any stored wool or silk products. These products all contain the animal derived protein keratin. Mothproofing and cloth/fur moth control are two different things. Mothproofing implies preventive applications of an insecticide to avoid infestation. Cloth/fur moth control is the correction of an existing infestation. Mothproofing is often accomplished by a special treatment during the manufacture of woollen fabric or other susceptible items. In some instances it is also a service of a dry cleaning company or a furrier. Various mothproofers will give protection from moth damage. These chemicals depend for their action on killing larvae either after light feeding or brief contact (before feeding occurs). Many garments which are treated with a mothproofing solution at the time of manufacture or cleaning are safe from damage until the chemicals are removed, either by washing, dry cleaning or simple degradation. You should never attempt to mothproof your fur garment yourself without the right level of training. 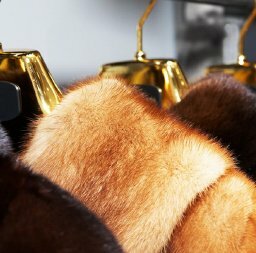 When you desire to have fur treated, it is usually best that treatment be made during fur cleaning process if such treatment is available in your area. 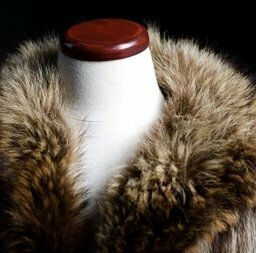 Such mothproofing of fur is usually quite effective over the length of time between cleanings, or for storage during the summer months.